LG has been talking up its new LT75 series of LCD TVs and PT85 series of plasma TVs at IFA in Berlin. Both ranges feature built-in digital video recorders (DVR) meaning there's no need for a separate set-top box for Freeview or to record programmes. The LT75 and PT85 series are both Freeview Playback certified. They also have dual digital tuners, so you can record one thing on the integral 160GB hard drive while watching another channel. And, in an effort designed to highlight LG's supreme local sensitivity, the company says this space is enough to record all 57 of the Euro 2008 games. The LCD LT75 incorporates True Viewing Angle technology, which minimises colour distortion. The PT85 plasma incorporates Dual Peaks technology, which eliminates flicker, even during fast-moving action scenes. All have HDMI, composite, S-video and Scart inputs. The LT75 series is available in 32-, 37- and 42-inch models and the PT85 series is available in 42- and 50-inch variations. 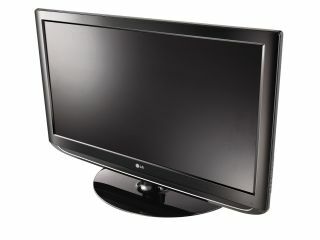 The plasma range will be released in September; the LCDs in October. Pricing is yet to be confirmed.